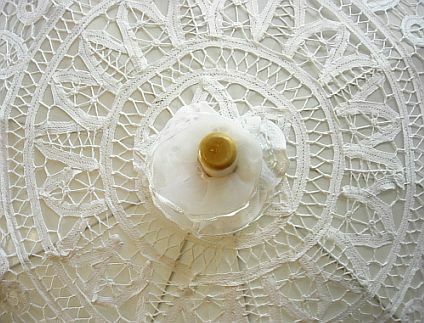 gorgeous cotton battenburg lace( also known as Belgium lace) parasol with ruffle Very dainty and romantic . · Size of the parasol is 19" long and opens up to 32" wide. · Wonderful elegant accessory to keep cool and turn heads. Great for wedding, special occasion, out door event, any gathering. Showcase your style with this classic. Every girl should have one!